For more than 65 years, our hardware store and lumberyard has provided reasonable prices and superior customer service on the largest selection of building materials in the Baltimore, Maryland, area. Now in our third generation of serving the community, Midway Lumber Company Inc. understands the needs of the local market, including residential and industrial customers. We welcome any inquiries and look forward to helping you with your next project. What sets us apart from the competition is our knowledge and experience. 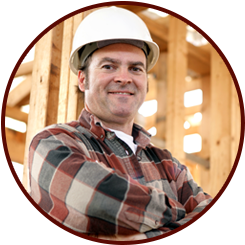 We'll help you select the best materials for your project, and you can trust our knowledgeable professionals to answer all of your questions. Whether you need aggregates, plumbing, or electrical supplies, we have them in stock. Expect to find the highest-quality materials ready to take home from our hardware store and lumberyard. Since we are a family-owned-and-operated business, we are committed to providing outstanding service to all of our clients. Come and shop with us to save on everything from household tools to building materials. As part of our dedication to being active in our community, we support local groups that are making a difference. This includes donations to the local Cub Scout troop, as well as contributions to help local schools and other local organizations.